If you ask Mr. Platt what is my biggest bad habit, he would instantly answer snacking without any hesitation. It's so bad to the point we have had numerous discussions about this habit of mine. And as much as I hate admitting it, he's right...snacking is definitely my biggest bad habit. Anyone who knows me in real life will tell you the same thing, I am constantly eating, munching on some sort of snacks. Whether it's potato crisps, chocolate...I'm always eating something. Back when I was working, I was the person everyone came to whenever they were hungry and needed a snack because I kept a drawer full of junk food. And little tyke is fast becoming Shireen version 2.0 in the snacking department which peeves off Mr. Platt. But does snacking have to be unhealthy? This is where Prana Organic Dry Roasted Coconut Chips come in. Prana Organic Dry Roasted Coconut Chips offer a unique and exotic taste, and are also 100% organic, gluten-free, with no cholesterol and offer an excellent source of fibre. These coconut slices are dry roasted to perfection and seasoned with ingredients from all around the world to create a unique and exciting taste. 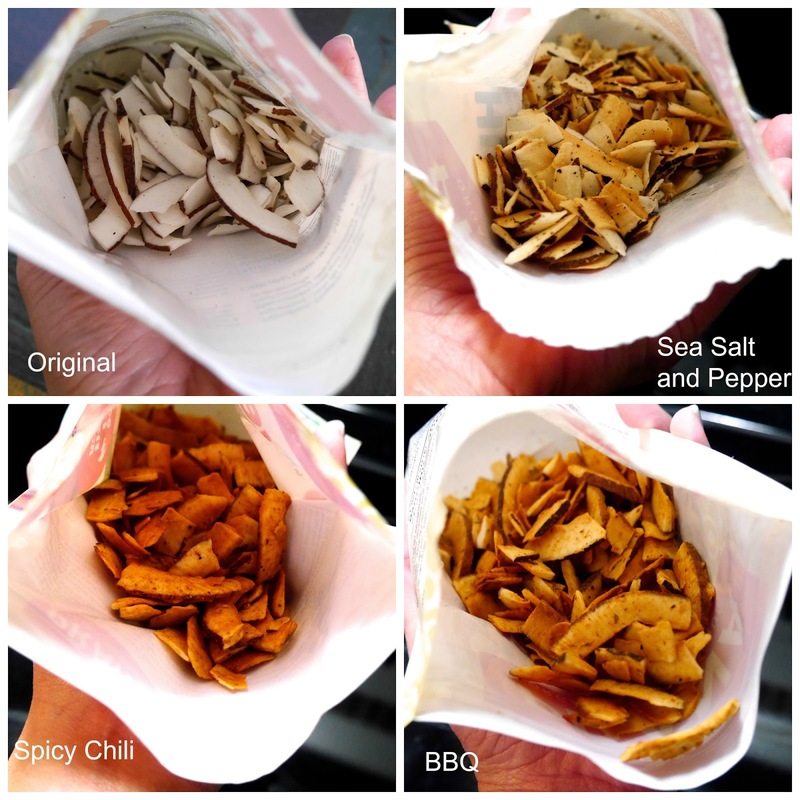 These coconut chips are available in four homemade flavours and I was kindly sent Jive* (chili and exotic spices), Hula* ( sea salt and cracked pepper), Charleston* (rich BBQ taste) and finally Classic* (pure wholesome coconut). Little Tyke and I first tried Classic* and I must say we're not the biggest fans of it. I appreciate that it's pure, dry roasted coconut without any addition of salt or sugar but I find it to be too bland for my liking. However, it is suggested to use these as garnish for a bowl of curry, salad or soup which I have yet to try. Maybe I'll have better luck with it that way. I was a little worried that the other flavours would be bland too but oh wow, they are scrumptious! 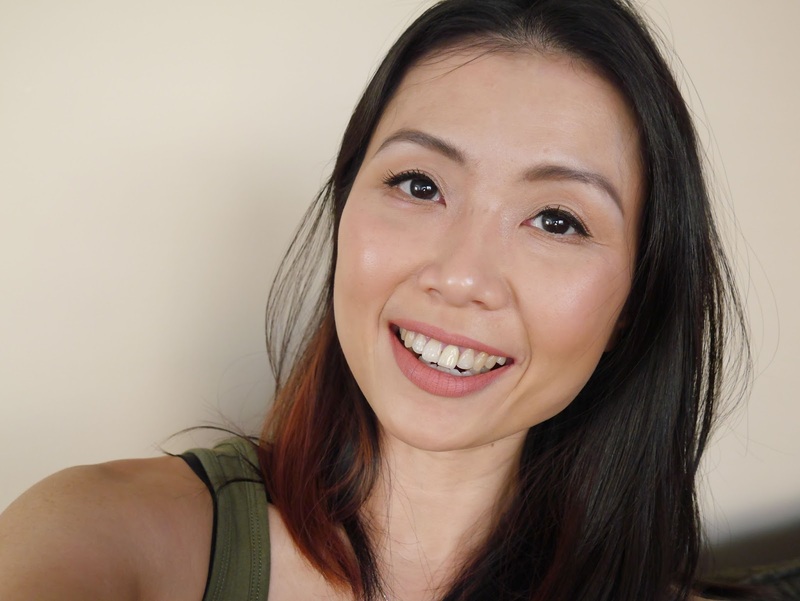 The flavour is rich and absolutely delicious and there's nothing artificial about them. Little Tyke adores Hula* and Charleston* while I can't get enough of Jive*. Unlike many products that claim to be spicy but actually are not, Jive* has a good kick to it. I have a good feeling that these coconut chips will be a permanent staple in our home. Snacking can't be all that bad when it's this healthy, right? 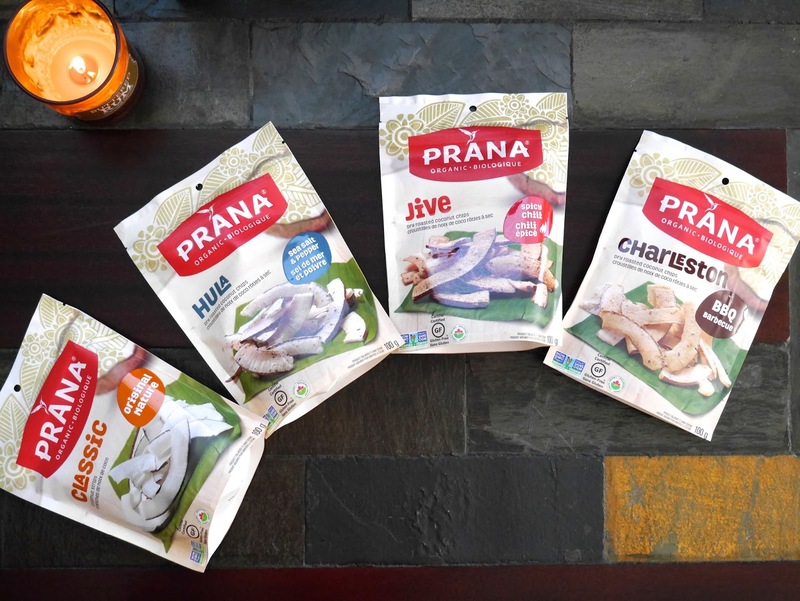 Prana Organic Dry Roasted Coconut Chips are available in 100g bags and can be found at all major grocery chains, health food stores and supermarkets with healthy living aisles across Canada. Each bag is retailing at CAD3.99.